Bitless bridle made for an american heavy horse. 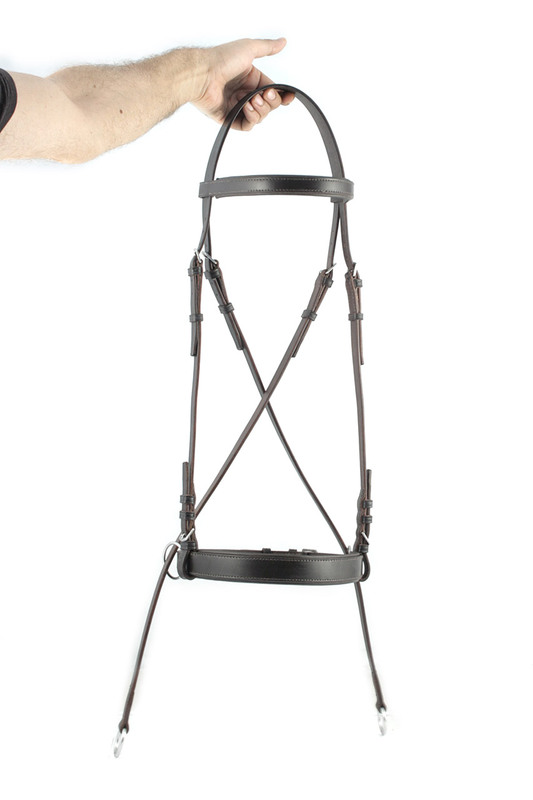 Dark havana leather, browband and noseband are padded with leather od the same color. Stainless steel buckles, cheekpieces width is 5/8", throatlatches width is 3/4".